Vodafone Fiji National coach Christhope Gamel had made it clear that he had no pressure in naming the 30 member national squad last Sunday at Ratu Cakobau Park in Nausori. 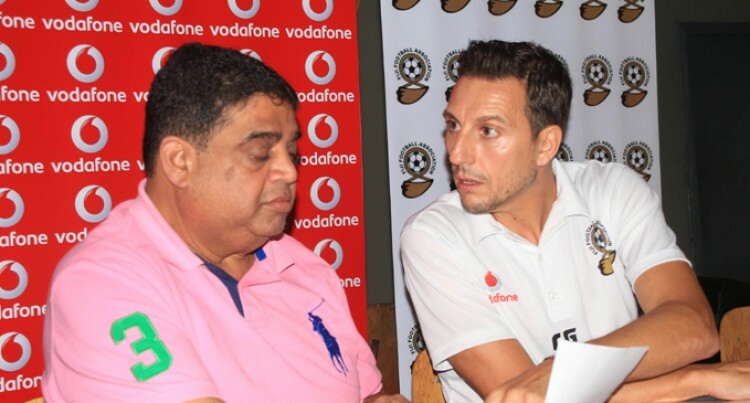 Gamels aid that there had been lots of critics but he made it clear that he was the one who decided which player got into the national squad and was not pressured by Fiji FA. “I want to make it clear that Fiji FA is always the one getting attacked but actually I’m the only one who should be blamed,” Gamel said. “I want to stop all the criticisms now. The first game he said would be hard because honestly one training session to prepare would be tough but they were not only planning for this game, they were planning for the future as well. He said those were the things he wanted to improve and they needed the support of the fans and everyone in Fiji. Fiji FA president Rajesh Patel said Gamel had a duty to fulfil and those players who made excuses should not to be part of the squad. “The national coach has his vision on what the national team should be made off, it is no longer the well-known names that will be part of the team,” Patel said. Fiji FA he said would take action on players who were available and did not want to join the national team. Fiji plays Solomon Islands tonight at 7pm at ANZ Stadium in Suva and will play in the second friendly on Sunday at Churchill Park in Lautoka at 3pm. Naicker; Rewa – Simione Tamanisau, Vuniuci Tikomaimereke, Amani Makoe, Epeli Saukuru, Madhwan Goundar, Iosefo Verevou; Suva – Setareki Hughes, Ravinesh Karan Singh, Tevita Koroi; Labasa – Taniela Waqa, Christopher Wasasala; Navua – Zane Lingham, Rajnesh Raju, Manav Permal; Overseas – James Hoyt, Roy Krishna, Rajneel Chand.